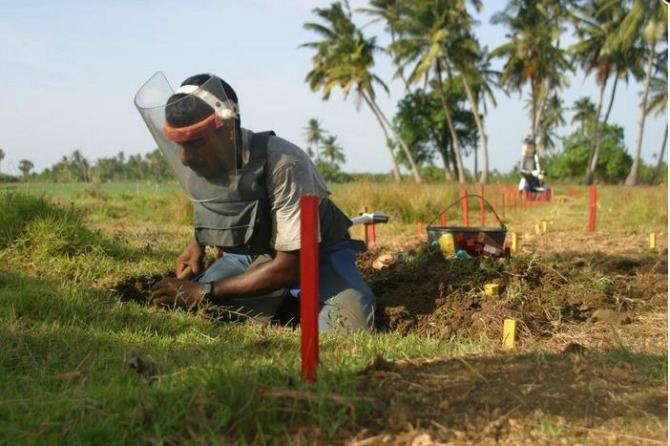 During the past five years, Britain has provided a total of £5.1 million towards demining activities in Sri Lanka. From 2010 to 2014, Britain has contributed £3.5 million to The HALO Trust for demining work in former war-affected areas of the country. Last year, Britain announced a further £1.6 million from July 2014 for a period of 18 months. The British High Commissioner for Sri Lanka Mr. John Rankin, during his recent tour of the Northern Province, said that the United Kingdom has been a long-time supporter of the demining process in Sri Lanka. The HALO Trust, a UK-based organisation, which removes hazardous debris of war, works in the Jaffna, Kilinochchi and Mullaitivu districts and conducts mine risk awareness and educational programmes. Speaking about the current state of mine clearance, Army Spokesman Brig. 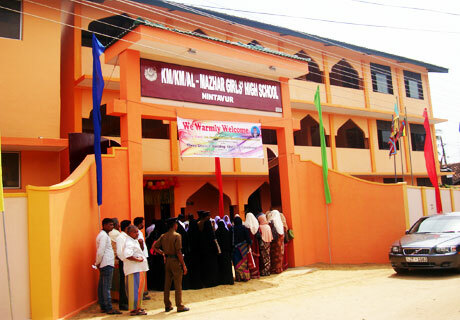 Ruwan Wanigasooriya said that only an area of 80 sq. km. remains to be demined in eight districts of the Northern and Eastern provinces. He also pointed out that the remaining regions consist of forest areas. The Sri Lanka Police recently opened its 436 Police Station in Nilaveli, in the Trincomalee District in Sri Lanka’s Eastern Province. 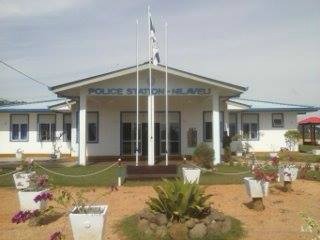 The fully-equipped police station that was built on two acres of land at a cost of Rs. 12.1 million was vested with the public recently. “This Police Station was built to start a civil control through establishing law and order that was disrupted in the North and East area, while specially providing facilities needed by the people of the North and East,” said Sri Lanka Police Media Spokesperson SSP Ajith Rohana. Approximately 9,511 individuals representing 2,587 Sinhala, Tamil and Muslim families live in this Police Division of 15 sq. km. In order to provide services to all three communities, police officers fluent in Tamil have also been employed. The Eastern Province Housing Authority was declared open by Hon. Rear Admiral (Retd. )Mohan Wijewickrama RSP, VSV, USP, Governor of Eastern Province and Hon. 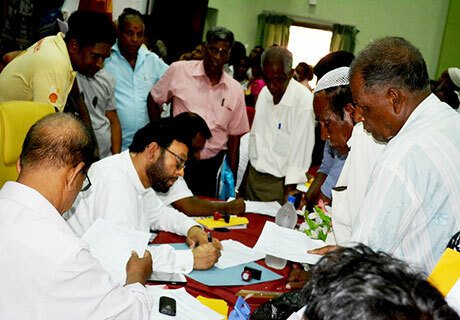 Najeeb Abdul Majeed, Chief Minister of Eastern Provincial Council on the invitation of Hon. M.S. Uthumalebbe, Minister of Road Development, Irrigation, Housing and Construction, Rural Electification and Water Supply, Eastern Provincial Council. Hon. Wimalaweera Dissanayaka, Minister of Education and Transport, Hon. M.I.M. Mansoor, Minister of Health and Social Services Hon. W.G.M. Ariyawathy Galappathy, Chairman, Eastern Provincial Council, Hon. M.S. Subair, Deputy Chairman, Eastern Provincial Council and Hon. 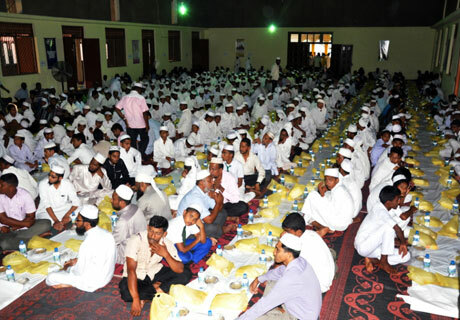 Members of Eastern Provincial Council along with the Chief Secretary, Secretaries, Deputy Chief Secretaries, Heads of department and other higher officers from Eastern Provincial Council participated on the occasion. This Housing Authority fulfill the long awaited ambition of people of Eastern Province, who were being longing for peace and development for thirty years. This Housing Authority would grant relief to the people of Eastern Province who were affected by three decayed by unprecedented war in the Eastern Province. 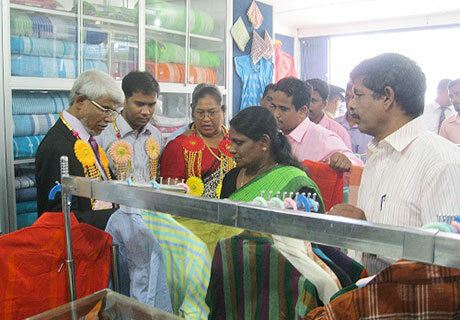 A new Sales Center for the Department of Rural Industries, EPC was opened by the Hon. Z.A. Nazeer Ahamed (Eng) Minister of Agriculture, EPC on 29.10.2013 at Trincomalee town. Hon. W.G.M. Ariyawathi Galappaththi, Chairman of EPC, Hon. Anwar Ramlan Ahamed, Member of EPC, Hon. A.L.M.Nazeer, Member of EPC and Mr.K.Pathmanathan, Secretary to the Ministry of Agriculture, EPC. also participated at this event.